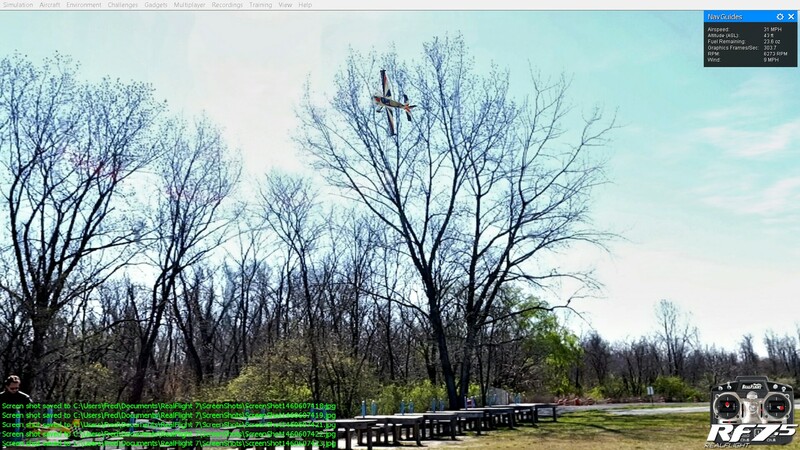 I had been thinking about modeling real RC flight fields in RealFlight for a year or two. It seemed like an impossible task. But it turned out that with modern cameras capable of taking panoramic pictures, plus a simple photo stitching app, this can be done in a few hours. 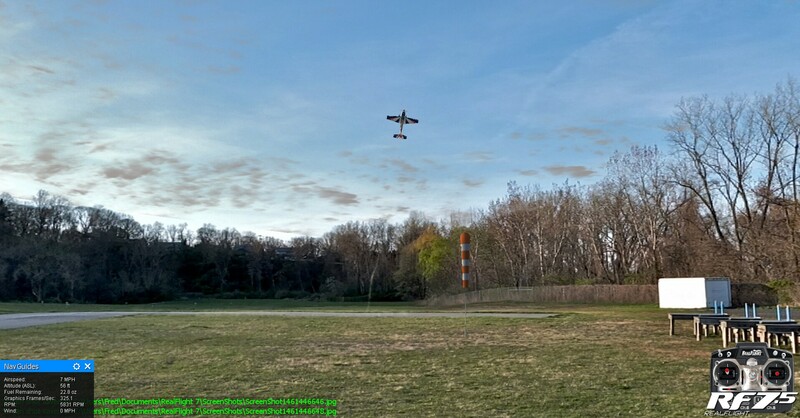 I am using this page going forward, to post updates as I model the HHAMS Aerodrome on Long Island in different seasons under different weather conditions and times of the day. 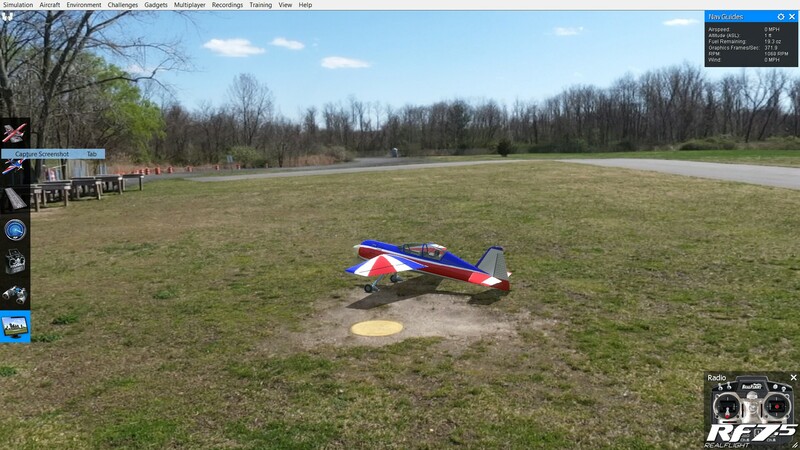 If, however, Phoenix RC is your poison, head over to Custom Phoenix RC Flying Site instead. 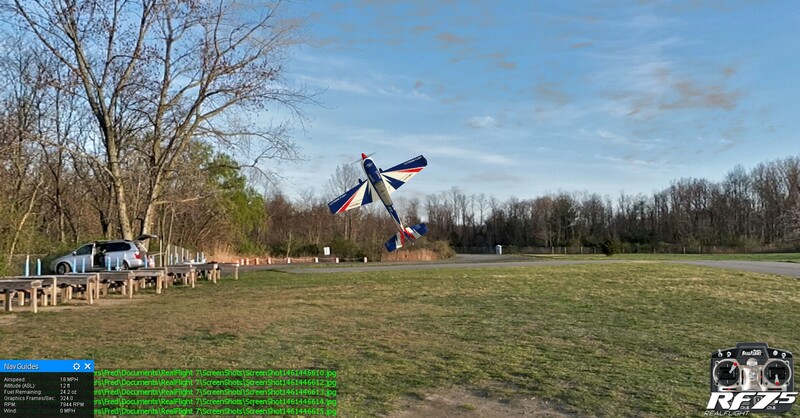 And if you live on Long Island, you can buy RealFlight from our LHS (Local Hobby Shop), Willis Hobbies. Instructions: Each photofield comes in a ZIP file. Just click on it in your browser, and save this zip file. Then unzip it and you’ll find an .RFX file. 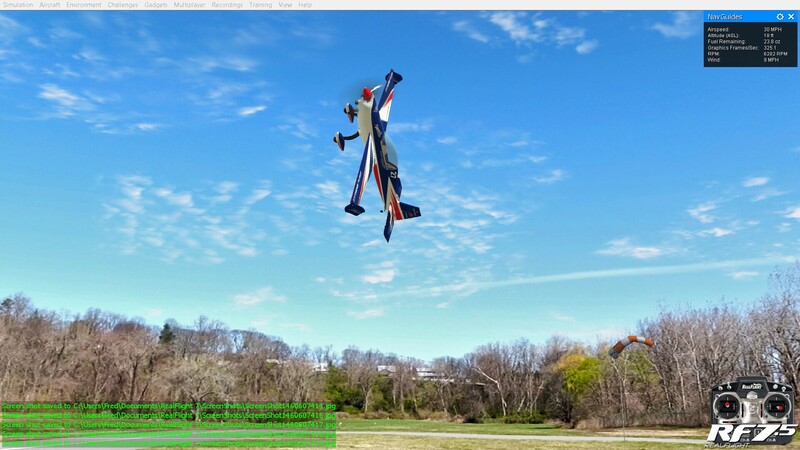 Launch RealFlight, and use File | Import | RealFlight Archive (RFX, G3X) to load the RFX file. 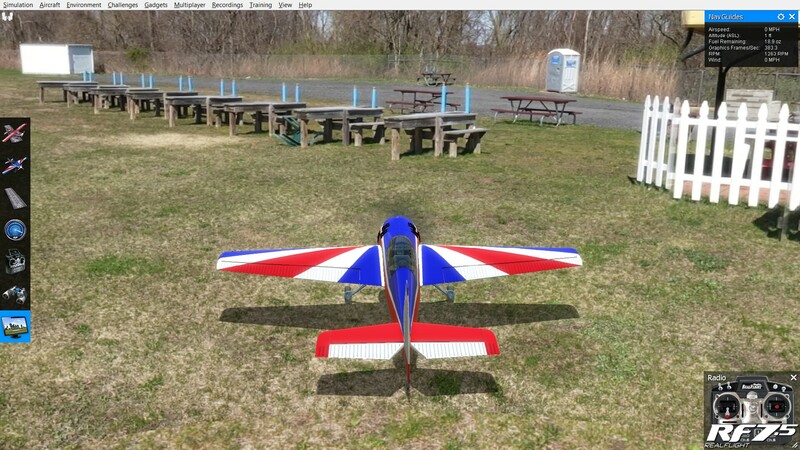 This HHAMS (Hempstead Harbor Aero Modelers Society) photofield should now become part of the list of airports you can choose from the simulator. 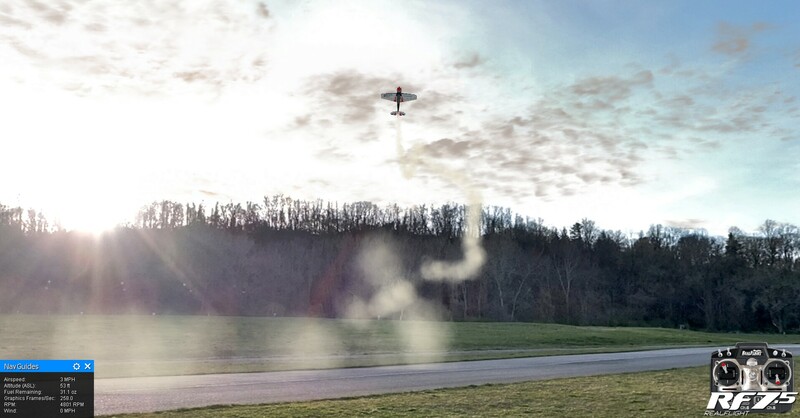 In this version, the sun is behind the pilot, in the Southeast. 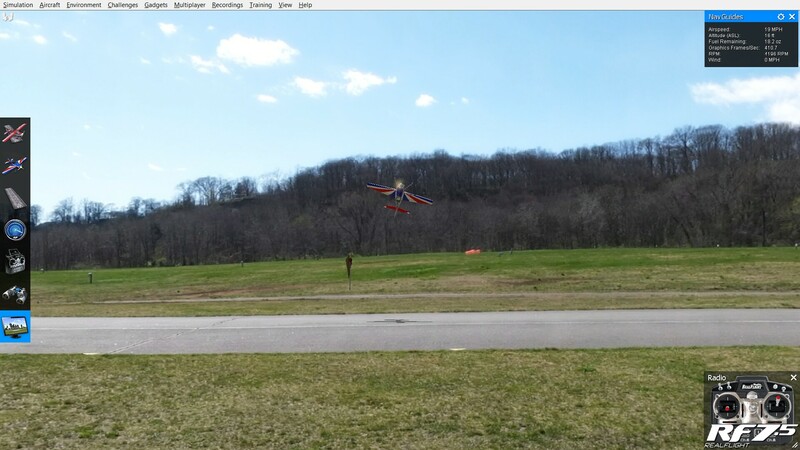 The panoramic picture actually captured a cloudless day, with a 7MPH wind plus wind gusts. I set the airfield to simulate the wind, and the sun haze. I also added simulated clouds that move. 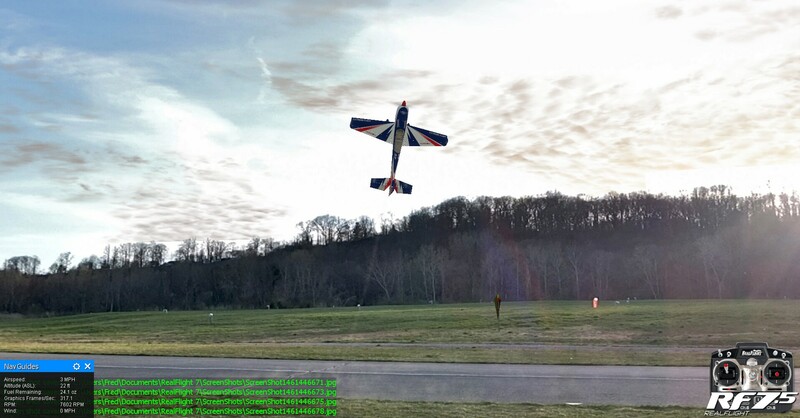 This airfield sports better stitching work than my first attempt (2016-04-03 3pm). All obstacles including tables, the impound and trees sport more or less realistic collision behavior. If you do not wish to have simulated clouds, or if your computer can’t handle it, download this version instead: cloudless version of 2016-04-10. 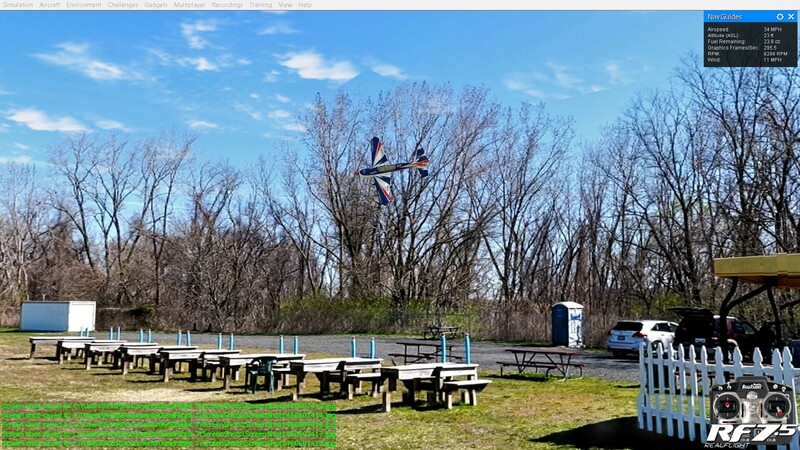 Update 2016-04-16: if the photofield as shown in these screenshots look too bright to you… well, it is. 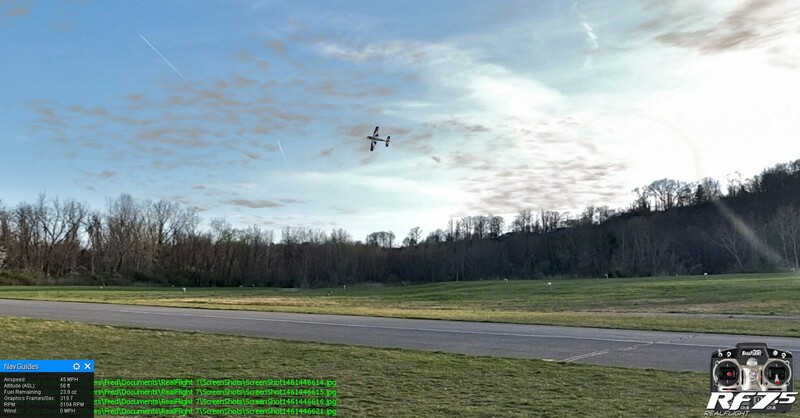 That actually is how the field looks, but most of the times one flies with sunglasses on. 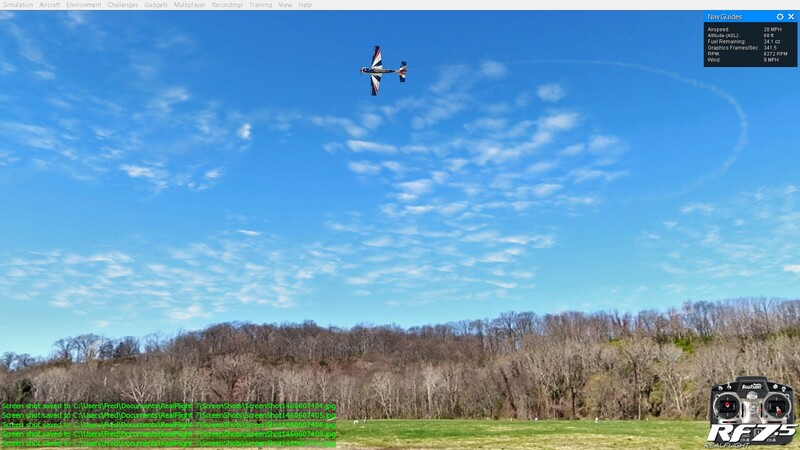 So I’ve toned down the equirectangular image a bit to match the apparent view with sunglasses on. The zip files shown here contain the newer, subdued version. This field is also available at the Knife Edge Swap Pages. Here is the equirectangular panorama. Click here to get the full-resolution picture (24MB) image. 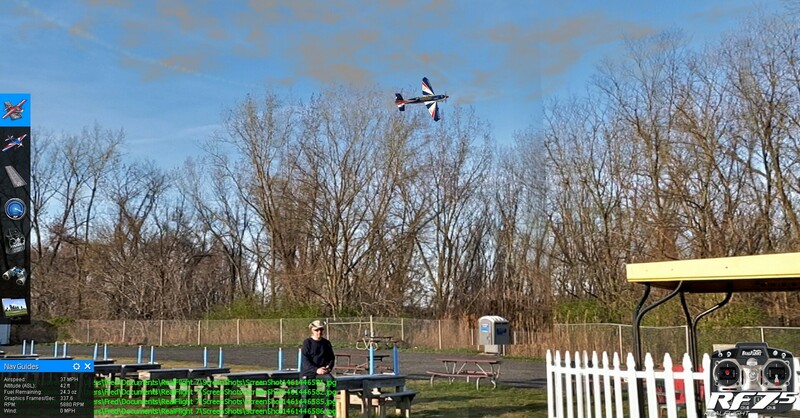 You can also check out this interactive photosphere viewer in Google Street View. 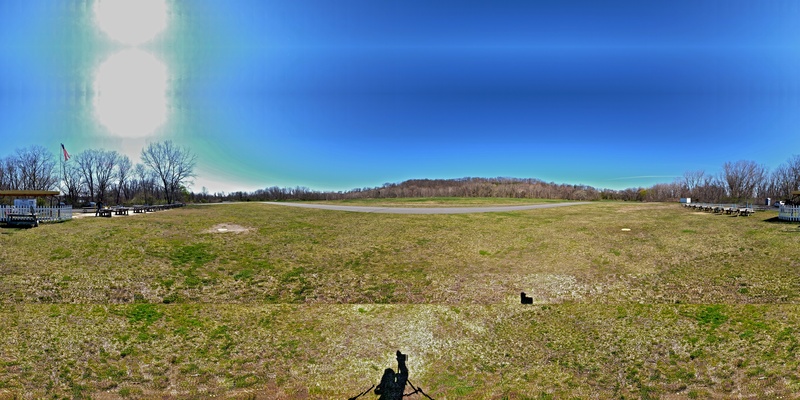 Once the photosphere is approved I’ll embed the interactive viewer right here. The above equirectangular panorama has been tagged with Google Photosphere XMP metadata, allowing it to be loaded into Google Street View app for iPhone (or for Android), and looked at using the dirt-cheap Google Cardboard VR headset. If you haven’t seen the Cardboard in action, check out these pictures. 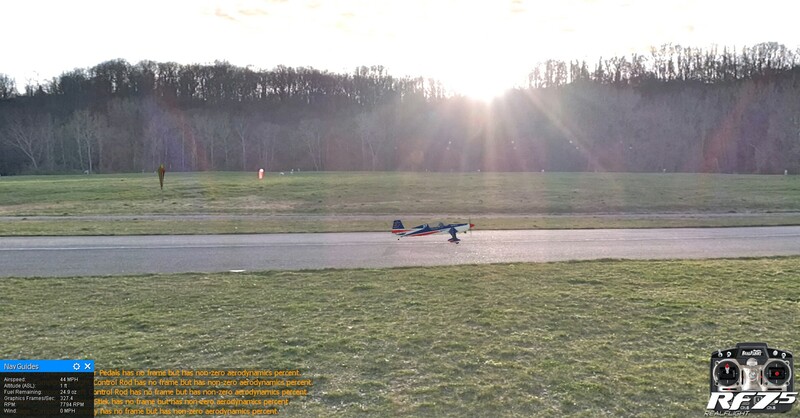 Flying in the late afternoon at this aerodrome is extremely difficult due to the sun hanging in the sky right in front of you, searing your retina if you are not careful. Most folks in the afternoon choose to fly in only one corner of the field, either left (south) or right (north), to avoid looking at the sun, and as a result be temporarily blinded. This airfield is useful for practice shuttling between the left side of the airspace and the right side of the airspace. Screenshots to follow. 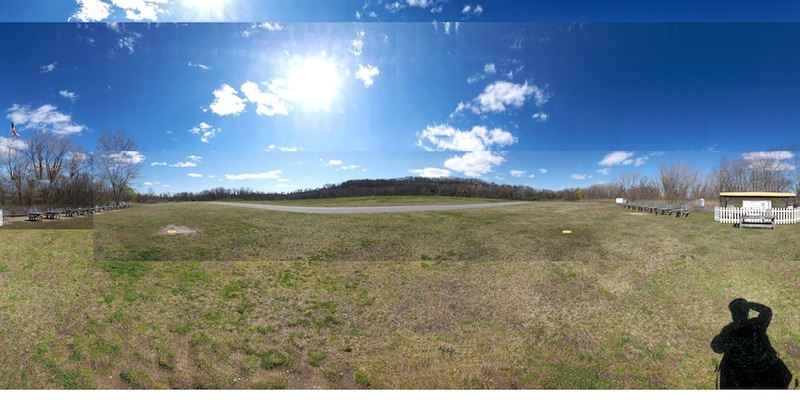 This was my first attempt at creating an equirectangular panorama needed by RealFlight, without using a proper stitching application. I took panoramic pictures without a tripod at various angles using a Fujifilm X10. This camera takes amazing panoramic pictures even when handheld. I simply put images next to each other in Aperture’s story board instead of using a real stitching app, because I didn’t know better at the time. The end result was horrible. 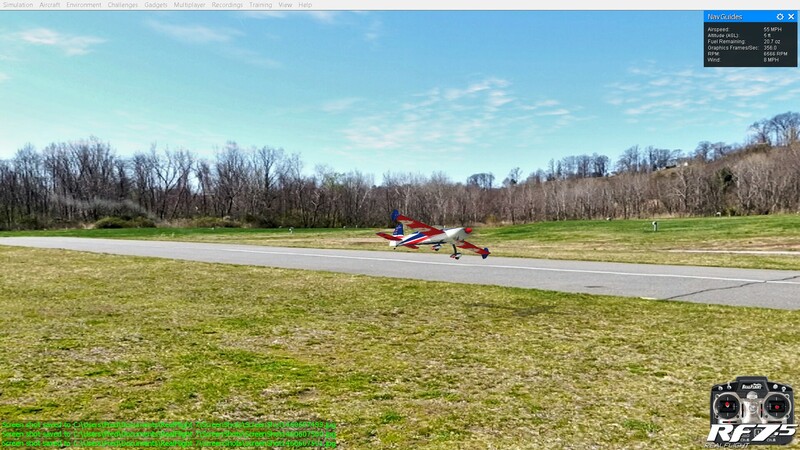 Nevertheless, when used in RealFlight, the airfield was surprisingly good. I added some crude collision objects. 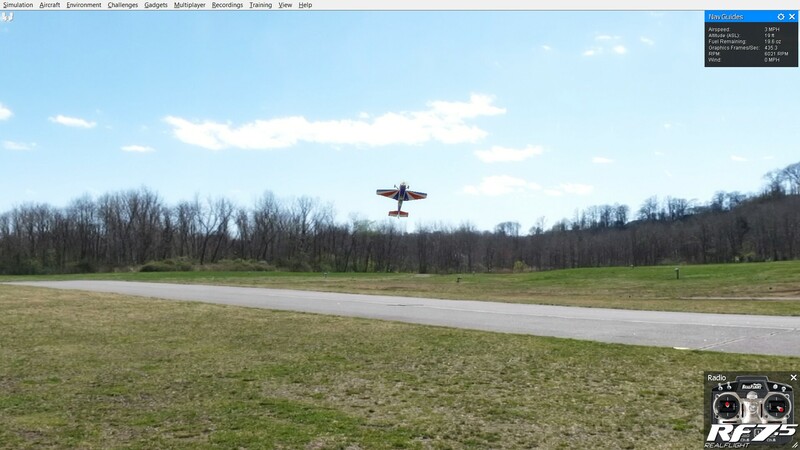 This airfield is known to work with RealFlight 7.5, 6.5, and G4. Here is the equirectangular panorama. This entry was posted in Fun, HHAMS and tagged Airports, Equirectangular panorama, Hempstead Harbor Aero Modelers Society, HHAMS, HHAMS Aerodrome, Photofields, Port Washington, RealFlight, RealFlight 7.5, Simulator. Bookmark the permalink. Fred, When I click on a zip link, my browser says the page cannot be reached. What am I doing wrong? But I also took some time just now, to move those files to this website. If you reload the page, all links to zip files should work again. If you still find that you can’t download them, please let me know again.